​Your RV water system begins at the point where you connect to the park's water spigot. As with every other system in your rig, it requires regular maintenance. When we first started RVing we knew that it was a must to use a water filter to filter ALL of the water entering our rig. Not just for drinking but for ALL uses. A sediment filter helps to protect your water heater, toilet, shower, faucets, and ice maker, if you have one installed. Solid particles suspended in water can cause valves to stick and clog and it will cause build up inside your water heater. 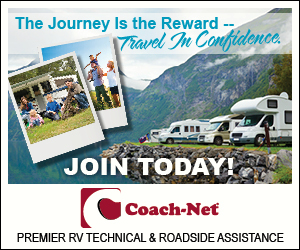 Face it, anything associated with an RV can be very expensive to repair or replace. So by taking proper preventative measures you save and get more enjoyment. 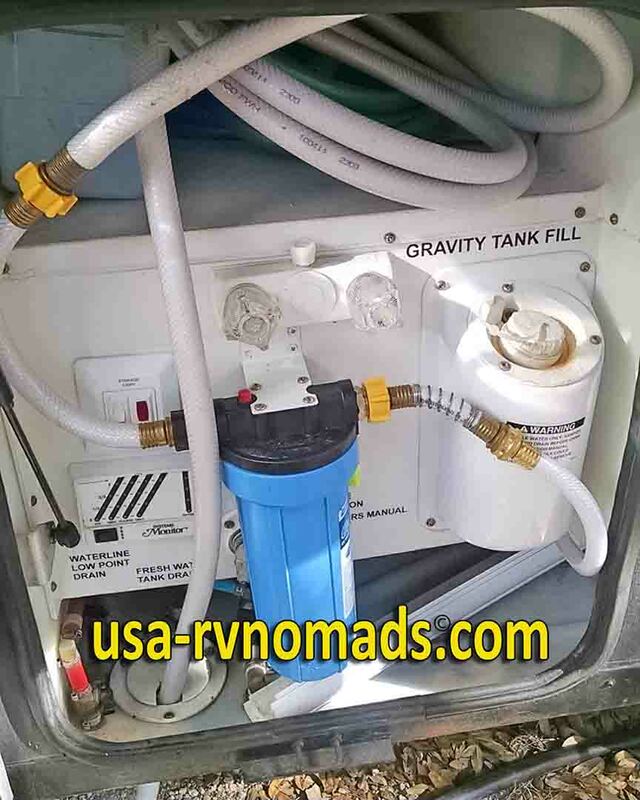 As I said when we first started we used very inexpensive inline filters that you can purchase just about anywhere RV accessories and supplies are sold. Check out our post Water Hookup for more information. 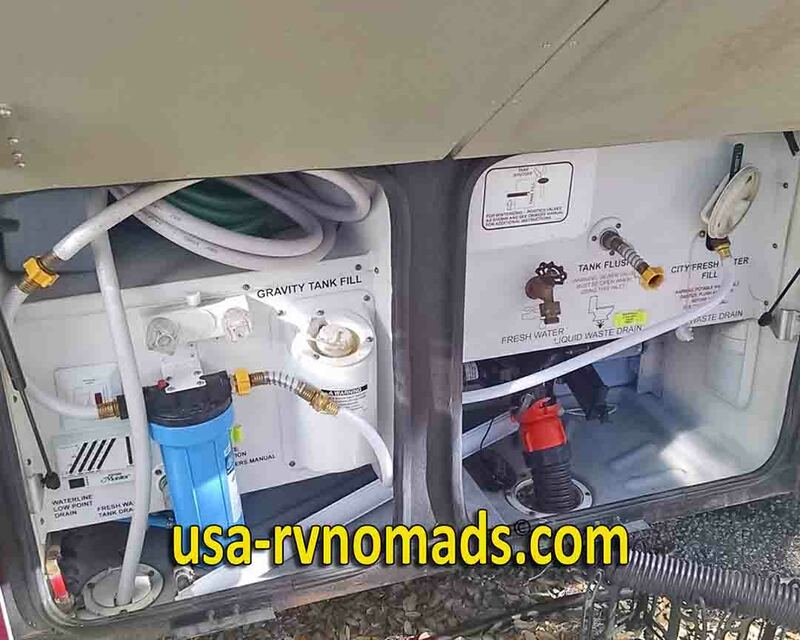 We’ve made some changes to this original RV water system setup, namely we’ve upgraded to a better water pressure regulator. One with a pressure gauge so we can see just what we’re getting for water pressure. In addition to that we upgraded to a larger capacity filter. Note: We keep the extra length of the supply hose inside the wet bay to protect it from temperature extremes. Important to notice that we still keep the filter assembly inside the wet bay. We do this for two reasons…one it keeps it from freezing when the outside temps dip below freezing for prolonged periods. Plastic anything and freezing conditions combined with water don’t play well together. And in the summer’s heat and direct sun it’s not turning the filter assembly into an incubator that produces algae and other undesirable in the water supply entering our rig. Spring is a good time of the year to inspect and do whatever maintenance to your rigs water supply system is necessary. Change the water filter or filter cartridge. Drain and sanitize your fresh water tank, hoses and fittings. This is a point to emphasize traveling with your fresh water tank full. (Unless your setup is overweight or unable to level properly while traveling down the road with it full.) Why should I travel with a full tank of fresh water? You may arrive at a destination that doesn’t have a water system that is working. Down for maintenance or is contaminated in some way that requires a Boil Water Order. Having water available for flushing the toilet while traveling is always a plus. Should your vehicles coolant system overheat and lose coolant enough to make it unsafe to drive, you have a tank full of water to refill it from to get you down the road where you can get it fixed. Overheating can occur at any time, place or outside temperature. The weight of the water in the tank has minimal impact on your fuel mileage, especially if you are driving a motorhome. 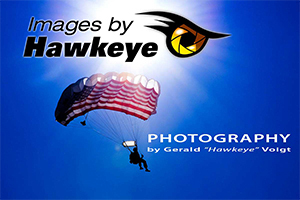 The added weight can be beneficial in windy conditions. A full tank doesn’t slosh around as much which can affect ride and steering. A clean, well maintained fresh water supply system provides you with safety and greater enjoyment while RVing.